I love living so close to the coast of Massachusetts. Not only am I just minutes away from the beach, but another one of my favorite things about living where I do, is that there are so many lighthouses. Recently, Chris and I stopped to take a few pictures of the Scituate lighthouse, which is located at the entrance of Scituate Harbor. 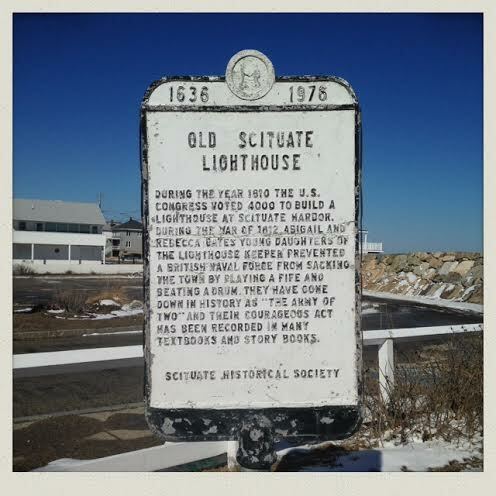 Old Scituate light is fifth oldest lighthouse in New England and the eleventh oldest in the United States. Rumor has it that occasional tours are available from the Scituate Historical Society. The keeper’s house is a private residence, but we were able to take these pictures around the other side without trespassing. I’ve been to lots of lighthouses on the cape and up in Maine, but this is one I have not seen in person. It is very cute. I’ve seen lighthouses from afar, but never really went near one. We do have a lighthouse not far from our beach, I’ll look at it now with different eyes! Love your pics! Oh that is a gorgeous light house! I would love to explore the lighthouses on the east coast. I imagine most of them are quite old! I have seen many lighthouses in my time but never this one. They really do or could serve a purpose, even to this day! Thank you for the photo. I’ve never been to a lighthouse. I remember watching Pete’s Dragon as a kid, and loving the scene where Helen Reddy sang in a lighthouse. Now when I watch that movie it’s a little odd, but I still love that scene! I love the perspective on your photos! when i think of the east coast, lighthouses always come to mind. Lighthouses are so romantic in a way. Even though hardly any are still in use, their history and purpose is lovely to still visit. I’ve always wanted to go visit one. Very pretty! I love lighthouses! We have several famous ones here in NC and in fact, Oak Island – where we vacation – has the brightest light in the US! I love Mass. I was able to spend a weekend in Cape Cod about 10 years ago with a girl I met studying abroad. It is such a beautiful area. I have a nephew that loves lighthouses. I’m not sure if he has ever visited one, but I’m pretty sure this would be totally be up his alley. 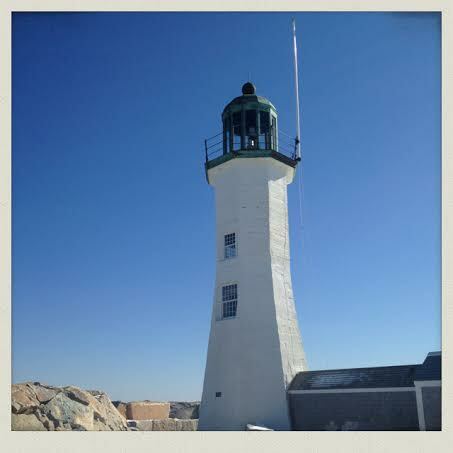 My oldest son’s in-laws travel the US looking at light houses. They are a sight to see! These are beautiful pictures! My favorite book as a kid was “Keep the Lights Burning Abbie” so I’ve always really loved lighthouses. Beautiful! I love the Coast. 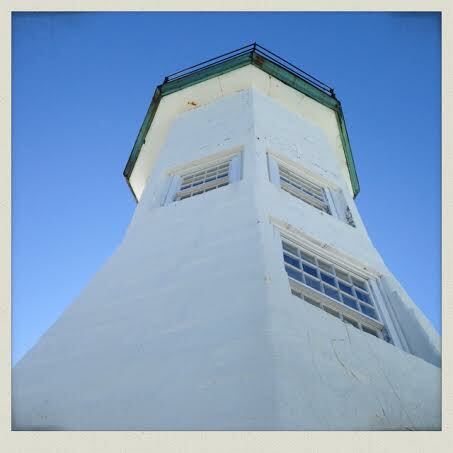 Have you been to Three Sisters lighthouses? We visited them when we vacationed on the Cape. I absolutely love lighthouses! Massachusetts is such a gorgeous state. I really miss living there. Seeing old lighthouses is always such a treat. Living in Indiana, we don’t see very many, but there are a few that we like to look at when we go to Chicago. I have a thing for lighthouses! I grew up on Lake Ontario, so there are a few around. I don’t know if they are as big and grand as ones located near the ocean. but they are all visually interesting. I loved Peggy’s Cove in Halifax. I think I’ll have to add a lighthouse tour of New England to my bucket list. I love light houses. There is a historical one in the town of Spain that I grew up in. It is called La Torre de Hercules or the Tower of Hercules. Oh I love lighthouses. I have not seen many in person though. But when I traveled to the shores of Canada there were some beautiful ones! How neat to get such an upclose view of the light house. I recently saw one while we were at the ocean, but we just drove by. It was sitting on a beautiful cliff. Lovely lighthouse! I wish I got to see them everyday. I live inland so the only time I really see a lighthouse is if I go on vacation. Great images and photos. Looks like you had a perfect sky day for that. You certainly live in a great area with lots to discover. Can’t wait for your next post! All these post about New England has me missing my childhood home. This is the first time, I’ve stopped by your page. I LOVE your logo, so creative! It made me smile! This is a beautiful light house. You are for sure making me jealous that I live in PA and not MA! Maybe I need to go on a road trip and stay for a few days! I’ve never seen this lighthouse in person, though I think it’s beautiful. I love lighthouses. There is a really nice one in Chatham, Ma. You are so lucky to live so close to the beach! I bet your summers are filled with nice days at the beach!! Awesome pictures btw, What camera did you use to take them? They came out really nice! I’ve lived on the cape my entire life and I’ve never been inside a lighthouse! I so just take them for granted! These are some beautiful pictures 🙂 I have always loved lighthouses.. to visit them and be around them, to see their pictures- yes, you guessed right! I love everything about lighthouses. It has such calming effect on me, don’t know why.. I love visiting lighthouses! This one is so beautiful. I one day want to visit way up in those parts! The farthest we’ve been is in NY and NJ & those are great but I do love the MA scenery. You got some beautiful photos. I’m going to have to visit a few of the places you’ve highlighted whenever I visit Mass. My dad loves lighthouses and we would visit various ones every summer 🙂 Great photos! God I Miss These Views Can’t Wait To Come Home & Visit Thank You!! When my husband and I vacationed on the East Coast a few years back, we made a point to visit as many of the lighthouses that we could. That and the covered bridges. They were both so beautiful and all were unique in their own way. These are so pretty. We live near the coast, but the closest lighthouse is a few hours away. We just saw Need for Speed yesterday, so theses photos are so timely! Very pretty! These are definitely on my husband’s bucket list. He is a light house lover! I live near the cape may lighthouse. My grandmother loved lighthouses. When ever I see one I think of her. I love old light houses. Although I don’t see nearly as many as I use to living on the east coast. Great photos. You have some of the most gorgeous lighthouses up there. I’d love to be able to a lighthouse one day, the view must be breathtaking. I do need to visit that part of the world. Wow, that’s such a pretty lighthouse. Your pictures turned out great. I feel peaceful just looking at them. I love to see a lighthouse!!! Love pictures of them, too!! I live near the beach but we don’t have very many lighthouses near where I live. I am loving these pictures. It’s on my Bucket List to visit a lighthouse. That’s in pretty darn good shape for being so old. Lighthouses are really a national treasure. I haven’t visited any in a couple years. I Love All The Beautiful Lighthouses In New England What A Site To See!!! Beautiful. I’ve never seen a lighthouse before, and I’ve always wanted to see it’s majestic beauty. This is beautiful, and y’all captured some great pictures. I’ve always secretly wanted to live in a lighthouse. I would love to photograph one. There are so nostalgic and cool. Every time we go on vacation and there’s a lighthouse we go and visit it and take tons of pics! I love lighthouses! My daughter goes to college in Boston, and we may have to make a visit here next time we go see her. Beautiful. I love lighthouses! We have a few in our area, that I just love to visit. Great pictures! Lighthouses are so majestic! Wow! What a beautiful place to explore! I would love to visit the lighthouses some day. I love those pictures! We went to the east coast, but we never quite got that far north! I’ll have to add it as a place to see! Wow that sky almost looks fake because it’s so blue! What a beautiful picture! You know, I’ve never seen a lighthouse up close – this one looks so neat! that’s really pretty. You can upload that to have printed on a canvas. You’ve created your own art. I live in Maine and lighthouses are a favorite spot here. 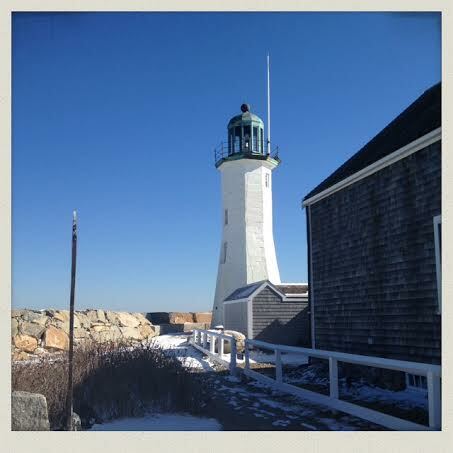 I’ve never seen the Old Scituate Light in person, but your photos showcase the history and beauty really well. I think I might make a bucket list of lighthouses I’d like to visit! I love lighthouses! These are beautiful pics! I’ve always been drawn to lighthouses and love pictures of them… These are beautiful shots and I love that white washed New England look/feel. This makes me miss the coast so bad. Thanks for sharing, great pictures! Oh wow, those are beautiful! Love the angles you took of these! So pretty! I get so excited by things like this! I would love to see a light house up close. Thanks for the cool pics. so beautiful! I would love to take my kids to a lighthouse but the one close to us has age restrictions and with little ones it’s hard. This looks like a lot of fun! This is a beautiful site to see! I love lighthouses so much even though boats make me seasick! Your photos make this seem like such a beautiful place to visit. I would like to see this place in person. I love lighthouses, what a gorgeous place. What a beautiful lighthouse! I love to be able to visit there. I grew up on Long Island and I don’t think I’ve ever even seen a real lighthouse! They’re so pretty. I love old lighthouses. This one is beautiful. I am fascinated with lighthouses. This one is wonderful! Oh I love looking at pictures like this! Me and my hubby want to take the kids on a vacation to that area and see as much as we can. I remember taking the girls to the top of the lighthouse in St. Augustine. It was a special day…looks like you had one too. Love Lighthouses! I would love to visit many in the US! My favorite one is in Cape Cod! I adore lighthouses and am drawn to them wherever I come across one. I love lighthouses! To me there is a mystery novel waiting to happen and there is so much history there. I love lighthouses! There’s actually one on the lake nearby our house. I’m not really sure the purpose but it’s there. I wonder now if it’s open for visitors.